We Launched "Close The Gap"
We started 2016 with a $54,000 deficit budget. Sunday we started Closing the Gap. We are in an exciting time of transition, calling a new pastor and claiming full responsibility for our building. Despite changes to our income stream, we are not losing sight of our ministry and mission. We drafted and approved a smart budget for 2016 that will continue to support the full breadth of our worship, education, fellowship, and outreach. This is a time for us to once again claim who we are and what we're about as the people who make up Advent Lutheran Church. We are confident that we all can step up together to Close the Gap in our budget while moving forward purposefully with our worship, ministry, and mission. 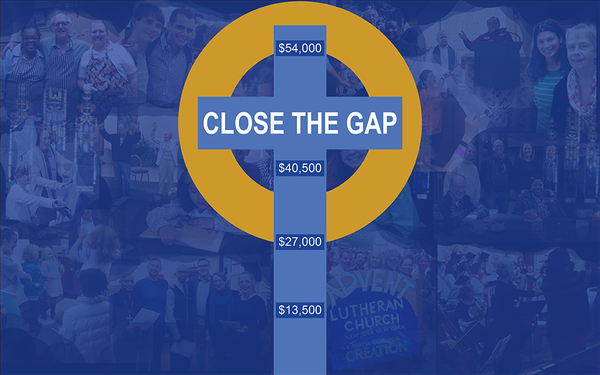 Join our congregants and friends who have already pledged $30,555 toward our initiative to Close the Gap! 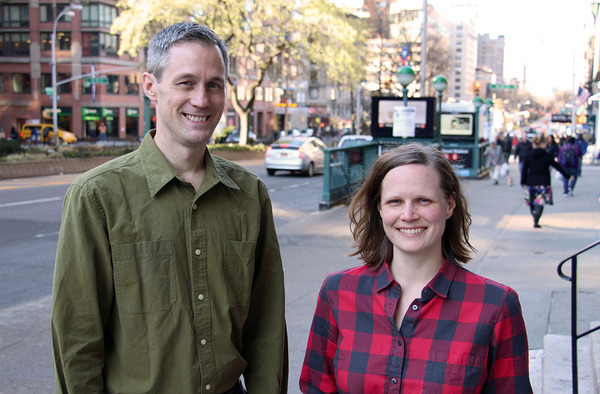 We're hosting Ross Murray's and Abby Ferjak's Consecration to the Public Office of Word and Service Ministry at 1:30pm this Saturday, April 30. The Rev. Dr. Robert Alan Rimbo, Bishop of the Metropolitan New York Synod (MNYS) will preside and Pastor Barbara Lundblad will preach. 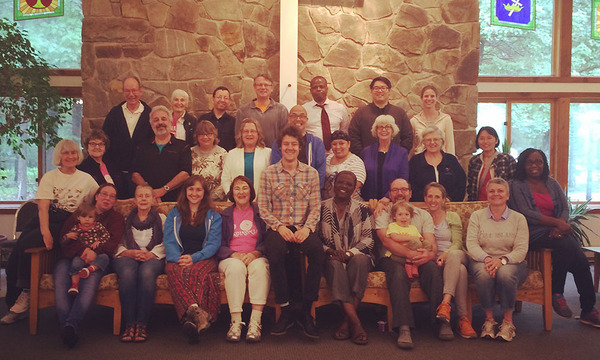 ELCA Rostered Diaconal Ministers are called to ministries of Word and Service after approval by the ELCA. Ross's and Abby's ministry and leadership as ELCA Diaconal Ministers enhances the witness of our whole church. We are happy to share this worship celebration with them. All congregants and friends are invited to join this public worship of consecration this Saturday. We all want Advent to be a welcoming congregation--especially if someone else is doing the welcoming! However, studies show that the most effective element for bringing visitors back to church is a connection made by someone in the congregation who is not a pastor. That means it's on us. How can we transcend our social phobias and get comfortable with reaching out to the newcomer? Let experienced Advent greeters Ricki Ravitts and Hans Kriefall walk you through a pain-free -- and fun! -- tutorial that will help you live out the "welcome" in our mission. And as a special bonus, we'll teach you some strategies to help you find the courage to confess to that person you've chatted with for 6 months that you still haven't learned her name! Join us for this fun class that will equip us all to work together on an essential area of our ministry. It's time to register for our Congregational Retreat June 3-5. Learn more at an Ice Cream Party at 12:10pm this Sunday, May 1 in the basement fellowship hall. This retreat, held each year at Koinonia Retreat Center in Upstate New York, has proven to be a thoroughly restorative and bonding experience for the group. The retreat theme this year is "Unplug | Reconnect." We'll be exploring the various ways we are connected to our families, friends, communities, congregation, and the world. Registration forms and details are now available at worship, on our website, and in this e-letter. Click the buttons below to learn more and register online. Or get more information, register, and eat ice cream with us this Sunday! Share a song, poem, or story at our Coffee House at 7pm next Friday, May 6. 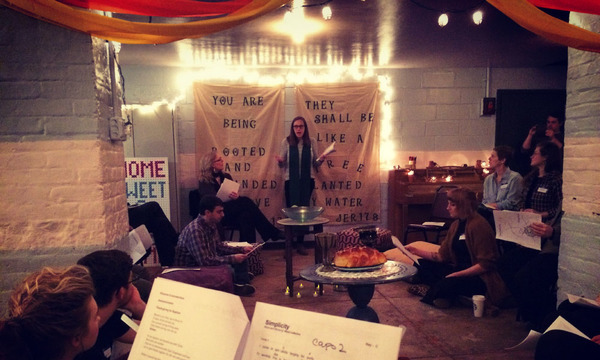 Our Coffee House: West Side Voices is an opportunity for our congregants, friends, and creative members of our community to share their work and listen to the work of others, hosted by Vicar Nancy in our sanctuary. 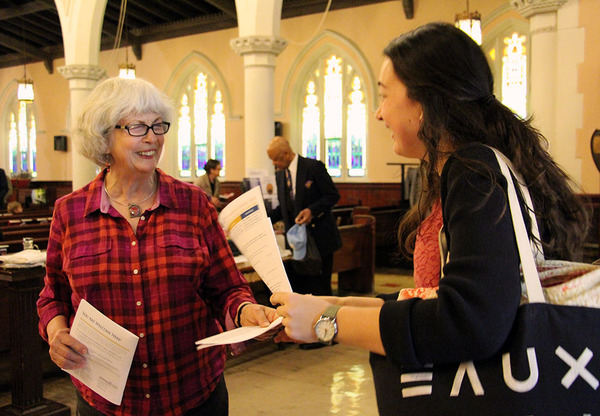 Our April Mission Envelope supports Lutheran Ministries in Higher Education and its two ministries for college students in NYC: The Vine NYC and LaMP. These new, growing programs are reaching college students--and engaging them in community and faith--in fresh and exciting ways. On Sunday, April 10 we heard from Allison Semrad, a graduate student at Columbia, about how The Vine NYC and LaMP keep her connected to her faith and a Christian community. You can support LMHE through donations of funds or of time. If you would like to help serve pancakes at their upcoming Midnight Pancake Study Break on May 3rd, send an email to pastor@thevinenyc.org. Gospel Text | John 13:31-35: Jesus predicts Peter's denial.